Free Paleo Recipe Books | Free Kindle Book Downloads! Home / Freebies / Free Stuff Online / Free Kindle Books / Free Paleo Recipe Books | Free Kindle Book Downloads! If you are looking for Free Paleo Recipe Books, make sure you check out these Free Kindle Downloads! 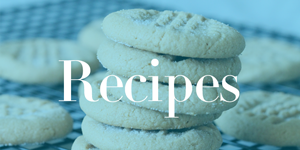 If you are looking for new recipes for your family, get these Free Paleo Recipe Books now! Grab Paleo Breakfast Recipes: For Busy Moms and Dads, or Paleo Lunch Recipes: 50 Easy, Delicious and Filling Paleo Recipes right now at Amazon. Try these recipes now so that you have your favorites ready for Back to School! FREE Sample of Nectresse Sweetener!